Scenes, expressions, write a small note about your sketch. Draw, describe things and people around you, so later you can remember the impression and develop ideas from them. Record your thoughts caricature them. Make them humorous. Doing this will increase your visual library and will help your ability to take visual notes. Thousand of potential ideas will become actions with clear vision. 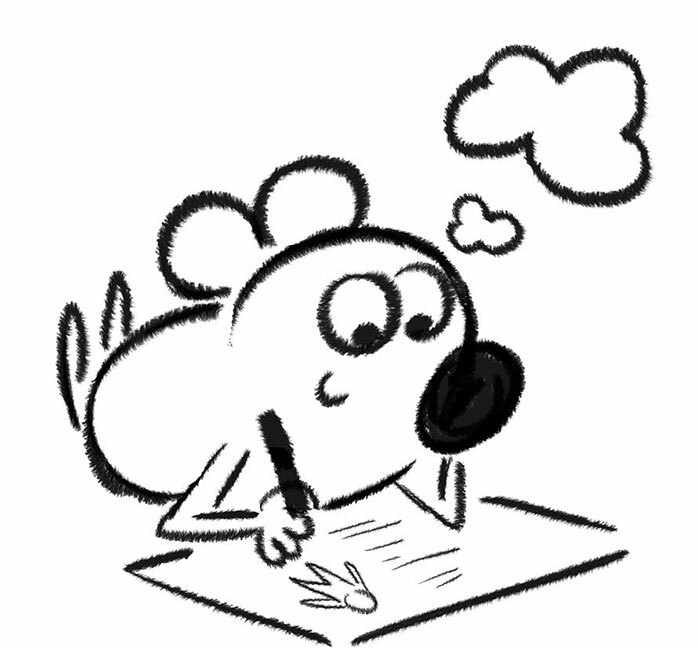 The cartoonist, when he sketches, is going through a process of study. He concentrates upon the model, plumbs its movement, bulk, outline. Then he sets it down, remembering that he wants only the spirit — the "guts" of the thing he's after. He puts into his drawing all his experience. He simplifies. He plays with his line. He experiments. He isn't concerned with anatomy, chiaroscuro or the symmetry of "flowing line." There's nothing highbrow about his approach to the sketch pad. He is drawing because he likes to draw! All types of sketching benefitthe artist. Never stop sketching! Sketch at home, in the subway, on picnics, in art school or in bed. But SKETCH!